95% of felony convictions in the United States are obtained through guilty pleas according to a campaign by the Innocence Project and Innocence Network that you can read more about here. 22 states and the District of Columbia expressly permit those who have entered guilty pleas to seek DNA testing to prove their innocence. Maryland is not among them. In two recent cases, Yonga v. State, 446 Md. 183 (2016) and Jamison v. State, 450 Md. 387 (2016), the Maryland Court of Appeals explicitly held that defendants who have pleaded guilty may not challenge their convictions through a Petition for Writ of Actual Innocence or a Petition for DNA Testing under the Post Conviction Procedure Act. Innocent people plead guilty for a number of reasons. Anyone who is familiar with the criminal justice system knows that to be true. The Alford plea exists because courts recognize and acknowledge that fact as well. An Alford plea is a guilty plea that permits a defendant to plead guilty to a charge without admitting guilt, but instead acknowledging that the defendant believes that the State has sufficient evidence to gain a conviction following a jury trial. In other words, it permits a defendant to say, “I’m not admitting I did this crime, but I think the State has enough evidence that a jury would probably convict me.” It takes its name from the Supreme Court case, North Carolina v. Alford, 400 US 25 (1970). It is a defendant’s weighing the risks and benefits of going to trial and determining that a guilty plea is the preferable choice, even if the defendant maintains his innocence. My very unscientific Google search indicates that Alford pleas are permitted in every state, but Indiana, Michigan, and New Jersey. 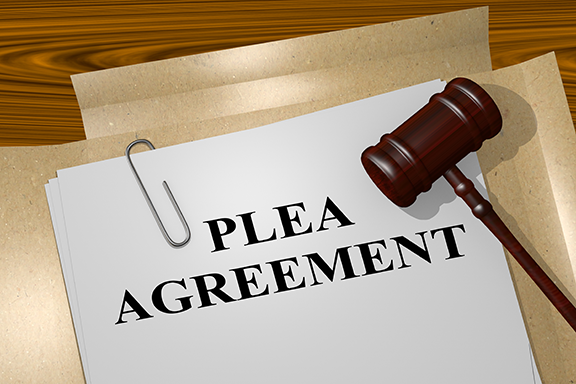 In Maryland, entering an Alford plea, as opposed to a typical guilty plea in which a defendant admits guilt, does not convey any additional rights. It is treated, in the eyes of the law, exactly the same a standard guilty plea. Despite the fact that innocent defendants do, in fact, plead guilty, the Maryland Court of Appeals decisions in Yonga and Jamison closed the door on two potential avenues of collateral relief for those who have pleaded guilty- Petitions for Writ of Actual Innocence and Post Conviction DNA testing. Thus, currently, a defendant who entered a guilty plea may only file an Application for Leave to Appeal (within 30 days of his sentence) or a post conviction in which he challenges the knowing, intelligent, voluntary nature of his plea. Under the current law of Maryland, there is no vehicle by which a defendant may directly assert his actual innocence. The Petition for Writ of Actual Innocence came into existence in Maryland in 2009. It requires that a defendant assert that newly discovered evidence, that could not be discovered in time to move for a new trial, creates a substantial possibility that the result would be different. Newly discovered evidence does not mean newly known to the defendant. i.e., some exculpatory information that existed at the time of the trial that the defendant did not know about, the information could not have been know at the time of the trial. Classic examples include forensic evidence such as hair analysis, bite mark analysis, arson science, or comparative bullet lead analysis, that was believed to be accurate at the time of trial, but has since been debunked as “junk science.” However, having some now disproven scientific evidence in your trial is not enough, in and of itself, to get you a new trial under this proceeding. There has to be a “substantial possibility” that if that new evidence were known at the time of the trial, that you would not have been found guilty. So it also requires an assessment of how significant the new information is in the context of all the evidence against you. For example, was the bite mark evidence the primary evidence of your guilt, or were there other, credible pieces of evidence against you such that you were likely to be convicted even without the bite mark evidence. The assessment with the DNA evidence in a DNA post conviction is very similar. The problem, as the Court of Appeals sees it, with applying these standards to a guilty plea is that there is no trial context in which to weigh the new evidence. Yonga involved a recanting victim. The way the statutes are written, the “result” that the petitioner must prove would be different is the jury’s guilty verdict– if the new information were known at the time, would a jury convict or is there a substantial possibility that they would they acquit or even hang? In the context of a guilty plea, the “result” is the defendant’s entering a guilty plea. Thus the analysis becomes more subjective. A defendant who pleaded guilty will assert, I was told that the State had the victim’s statement against me and the victim was willing to testify against me. If the victim were willing to admit that there statement was false, I would not have chosen to enter a guilty plea. Whereas, with a trial record, the court can assess all of the evidence against the Petitioner and determine the significance of the new evidence in the context of all of the State’s evidence. Does the conviction hold together or does it unravel? Of course, this too is a subjective analysis, but it certainly feels more objective. The legislature needs to respond with legislation that provides an avenue of recourse for those who are innocent and have pleaded guilty. A system which permits Alford pleas, but turns a blind eye to the innocent who finally have the wherewithal to challenge their convictions is unethical, inhumane, and unjust.